The ultimate dangerous game optic. 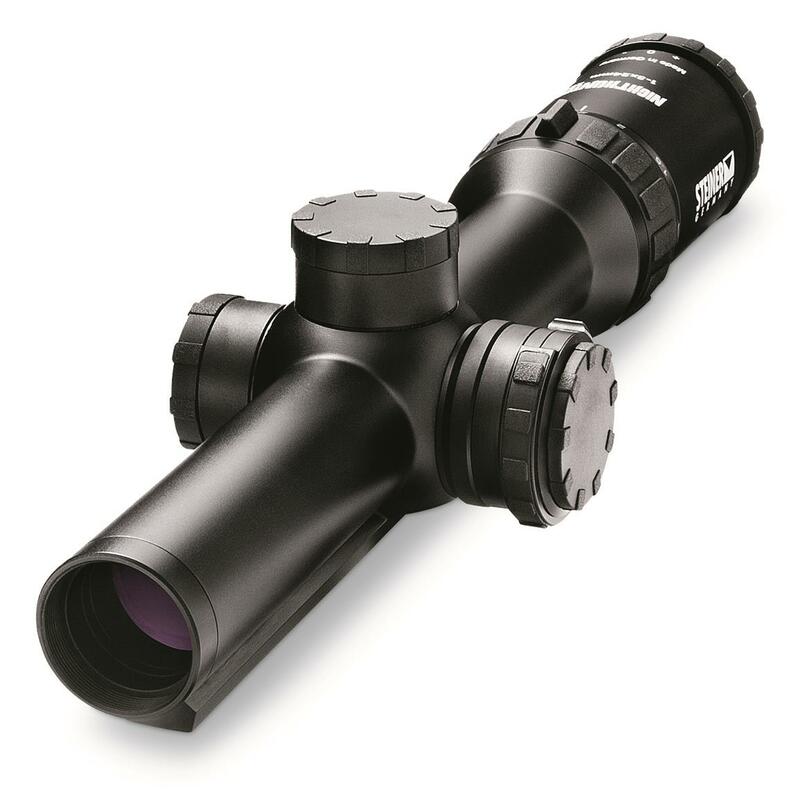 Low light hunting is easier with both eyes open and a Steiner Nighthunter Xtreme 1-5x24mm Rifle Scope. Diamond NightTM Lens Coating delivers industry-leading light transmission for clarity and contrast that won't abandon you during precious early-morning and late-afternoon times. Nano-Protection hydrophobic molecular coating creates a lens surface so smooth that moisture and fingerprints are repelled. 5X zoom system eliminates tunneling effects to deliver the best image possible. Rugged 30mm aluminum tube withstands the force of repeated rounds with nitrogen purging to lock out water and maintain fogproof performance. 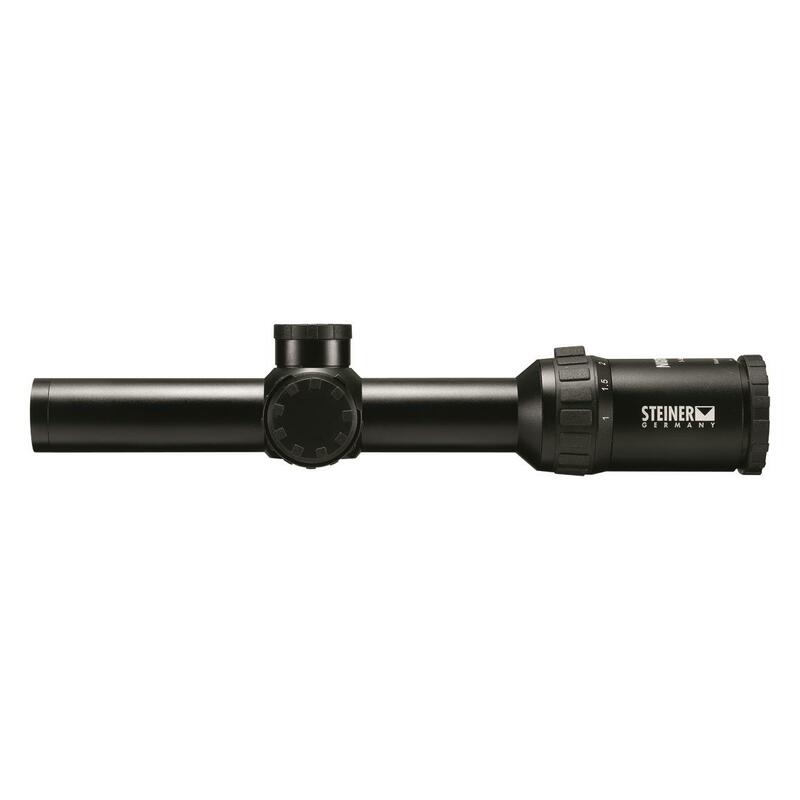 Steiner Nighthunter Xtreme 1-5x24mm, Illuminated 4A-i, Rifle Scope is rated 5.0 out of 5 by 1. Rated 5 out of 5 by Uman29 from Excellent scope, super clear glass! This scope has really upped my game. The glass is fantastic. 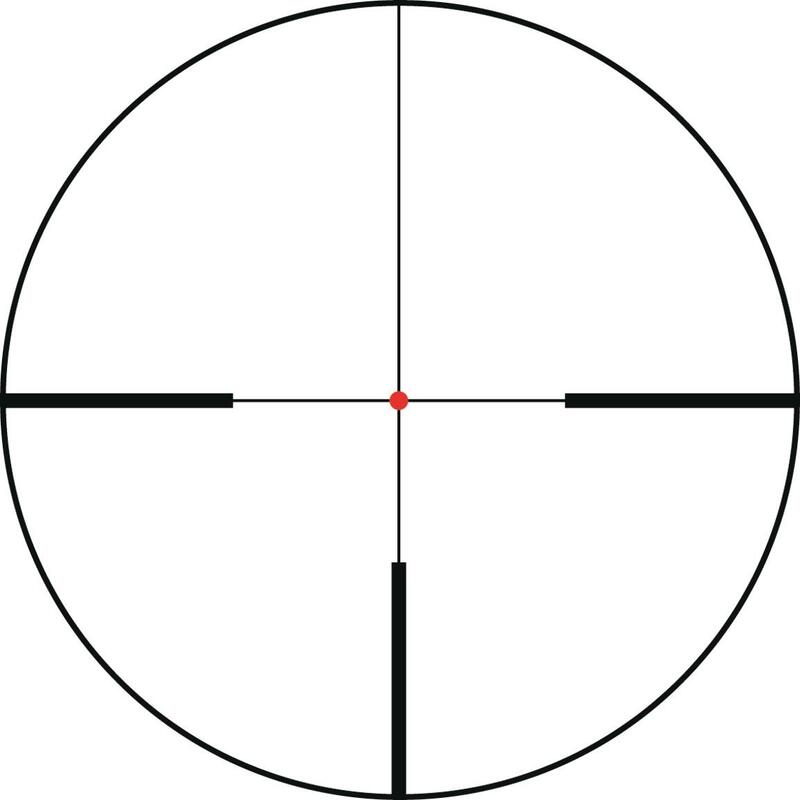 Bright red dot with intensity adjustment, true one power, large zoom range without sacrificing field of view or optical clarity and capped turrets.